So a few weeks back, we threw some shade on the songs apparently every bride and groom EX-ed out of their wedding playlists. And full disclosure, the entire country genre was a no-go. As in, see ya later Wagon Wheel, buh-bye Save a Horse, Ride a Cowboy… Needless to say, we weren’t too happy about it, because we’re all nuts about that Nashville sound. Yes, I’m an unapologetic Hunter Hayes fan. I’ll admit it, shamelessly. Anyway, the genre literally has hundreds of songs with loved-up lyrics that are perfect for a first dance song, and we had trouble cutting it down to just a few (that aren’t as cliche as “God Gave Me You,” sorry Blake, we love ya, but we’ve heard this one almost as much as All Of Me - and we’re just about over it). From classic songs about a guy falling hard for a girl and spinning around in circles over all her sweet spots, to ones about building a long-lasting life together after saying ‘I Do,’ they just ooze just-married material. 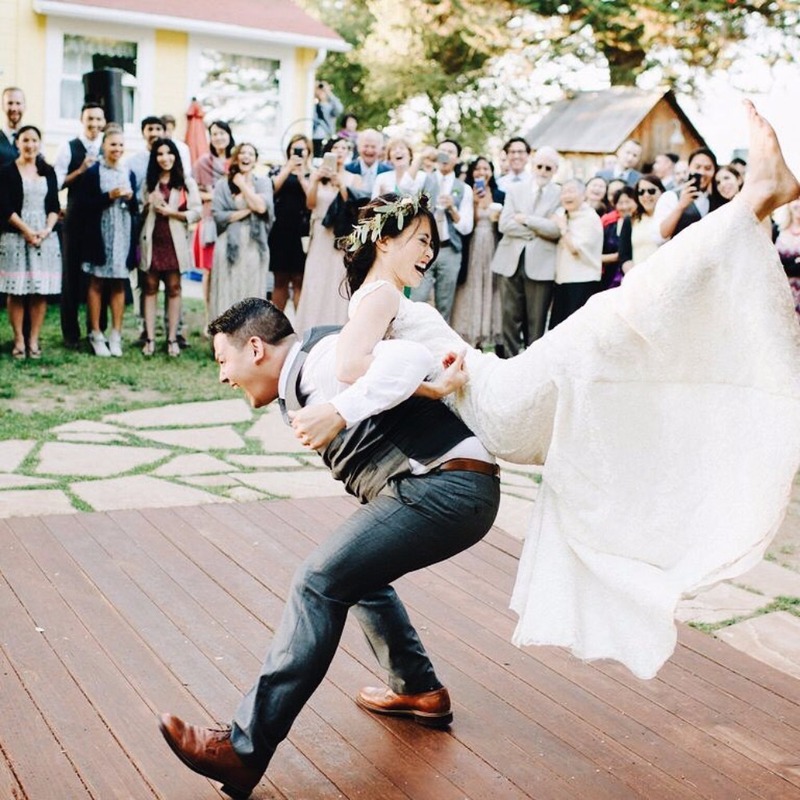 You don’t need to be exchanging vows barefoot in the woods, getting hitched in Nashville or throwing a rustic, barn bash in Mississippi to appreciate the appeal of a solid and sentimental boot-scootin’ song. It’s actually even cuter to see a closet-country-fan couple getting down to Keith Urban on their big day. Just promise us, even if you’re not bringing in a country-savvy band - make sure they learn the lyrics. There’s nothing worse than having to dance your first dance with an iTunes track playing in the background. #fail if there ever was one. Yes, Tim McGraw, Brad Paisley and Carrie Underwood all have incredible voices - we can’t match them even when we’re having our best shower concerts - but your band should be up for the challenge. Even if they have to learn the score while throwing back some whiskey and watching Blake on The Voice to channel his southern swagger. And if country music isn’t really your thing, check out some of these oh-so-romantic first dance songs for inspo!